This year I decided to broaden my children's holiday horizons. They only know about Santa, stockings and trees. 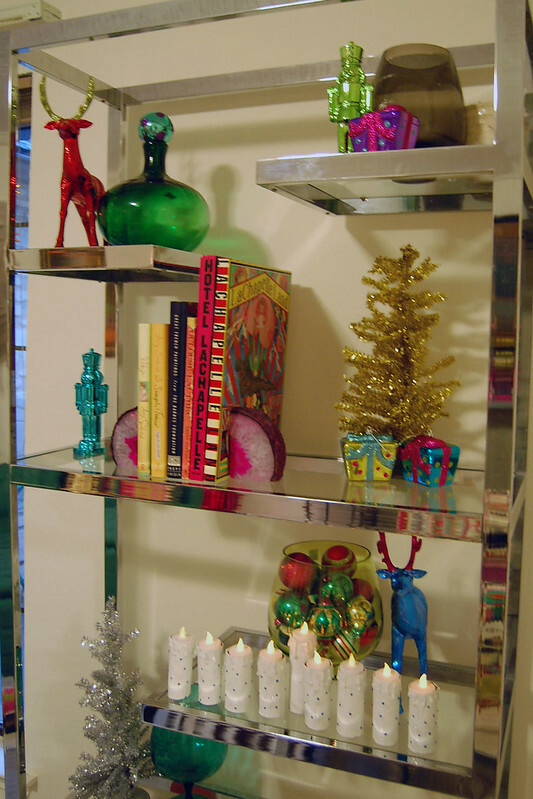 I thought a little chat about a Menorah this year was in order. 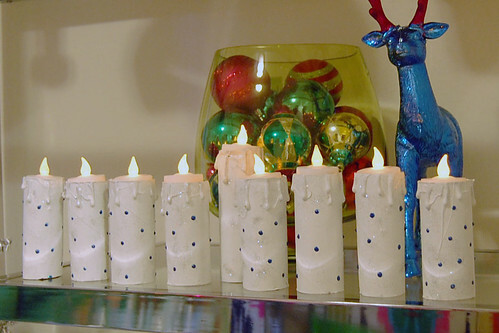 Better yet, this is the kind of Menorah your kids can help make. Since this was a very special Hanukkah landing on Thanksgiving it seemed like the perfect turkey day craft. 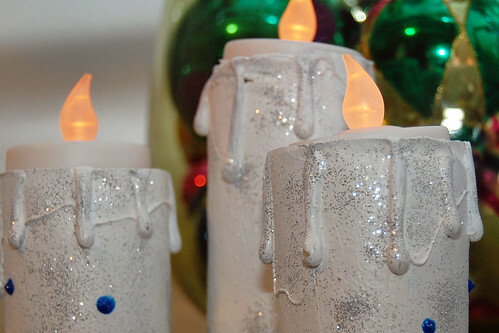 To give my toilet paper and paper towel rolls the look of candles I went around the top edges with my glue gun making drips. I saw lot's of projects doing this at Halloween so I decided to give it a Chanukah twist. After my hot glue cooled I painted the rolls white. After the paint dried I went in and added a coat of Sparkle Collage Pauge. while the Collage Pauge was wet I sprinkled on silver glitter. 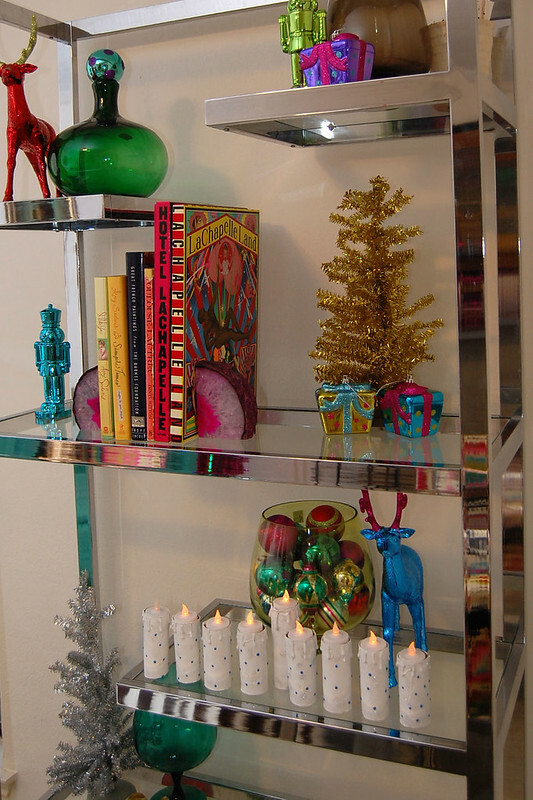 For an extra festive feel I added blue polka dots. 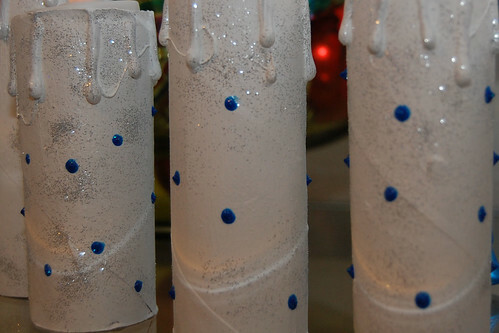 When all the paint was dry I stuffed a little paper into the tubes to help them keep their shape and hold the candles up. 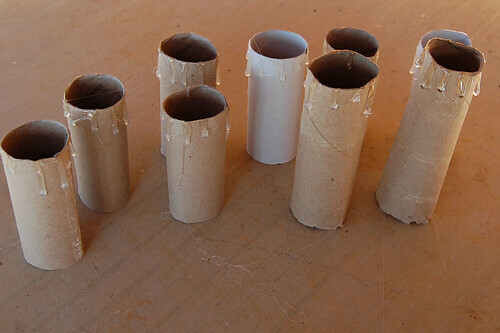 Next, I turned on my LED flickering tea lights and popped them into the tubes. When you display your candles you want your tallest one in the center this is called your shamash. 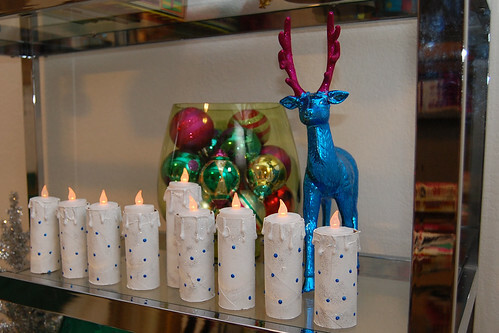 Next you want to put 4 smaller candles on each side. Not counting your shamash you light a new candle each night of Hanukkah. I'll let you look up the details and learn all about it. 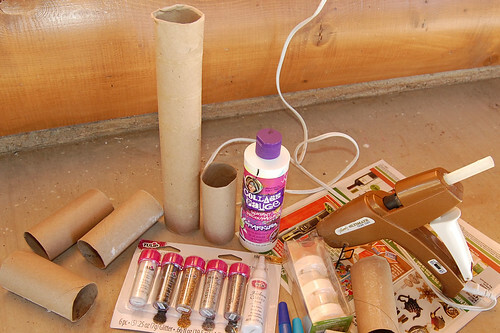 What I know is that like any holiday this is a fun and easy one to get the kids involved in! This is amazing article shared.